Pesach is fast approaching! 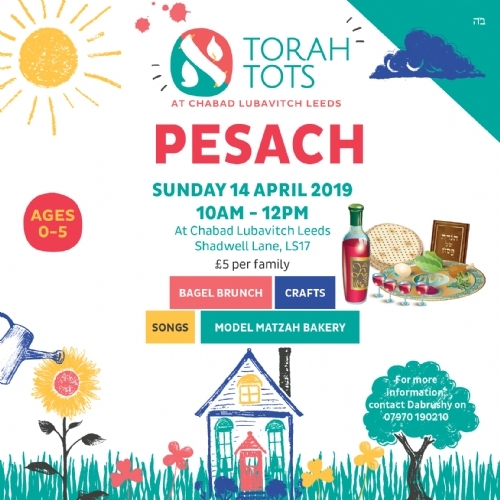 This Sunday is our pre Pesach Torah Tots, details here. Don’t leave your Pesach preparations to the last moment. 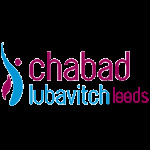 You can sell your chametz online here and book in for the Chabad Lubavitch Pesach Seder here. Help us help others with their Pesach preparations too. Our Maot Chitim fund to help people in the community with Pesach expenses is online here. There are also food bins in Gourmet and the Pop Up Pesach Shop for the Mitzvah in a Minute food distribution. Although the verse speaks of tzoraat occurring on homes throughout the Land of Canaan, which was inhabited by seven different nations, Rashi specifies that the hidden treasures were in the walls of the Amorite homes, thereby alluding to the unique association between tzoraat and that which the Amorite nation represented. According to Chassidic philosophy, each of the seven nations that Jewish people drove out of the Land of Canaan represents a negative character trait that we must endeavor to eradicate from within ourselves. The Amorites represented the sins of speech and excessive chatter, of which the verse in Proverbs says, “where there is much talking, sin cannot be avoided”. This is hinted at in their name, “Amori”, spelled with the same letters as the root word “Emor”, meaning, “say” or “speak”. Likewise, the occurrence of tzoraat was a punishment and warning to abstain from lashon hara, speaking derogatorily about others. There is a profound message conveyed by the presence of golden treasures specifically in the walls of the Amorite homes: Despite its pitfalls, speech has the ability to reveal hidden resources and treasures that may otherwise remain dormant within us. The ultimate goal is therefore not only to eliminate negative speech and avoid inflaming tensions, but also to utilize the extensive power of speech for good, to share words of Torah and wisdom, or to speak positively about a fellow. Last week’s Parshah described the signs of the metzora (commonly mistranslated as “ leper”)—a person afflicted by a spiritual malady which places him or her in a state of ritual impurity. This week’s Torah reading begins by detailing how the recovered metzora is purified by the kohen (priest) with a special procedure involving two birds, spring water in an earthen vessel, a piece of cedar wood, a scarlet thread and a bundle of hyssop. A home can also be afflicted with tzaraat by the appearance of dark red or green patches on its walls. In a process lasting as long as nineteen days, a kohen determines if the house can be purified, or whether it must be demolished. Ritual impurity is also engendered through a seminal or other discharge in a man, and menstruation or other discharge of blood in a woman, necessitating purification through immersion in a mikvah. Although tzaraat was a skin illness, it had a spiritual element to it. In the Tanach, we find quite a few individuals who were plagued by tzaraat. Does Judaism view alternative medicine as a good thing, something to be tolerated, or is it actually forbidden? Unresolved repetitive conflict ultimately prevents people from reaching their relationship potential.